I'm having an issue with Kentico, hotfix 10.0.10, where I stage a large chunk of content. When I disable Smart Search Indexing on both servers, the content stages as expected. Is this a performance issue? 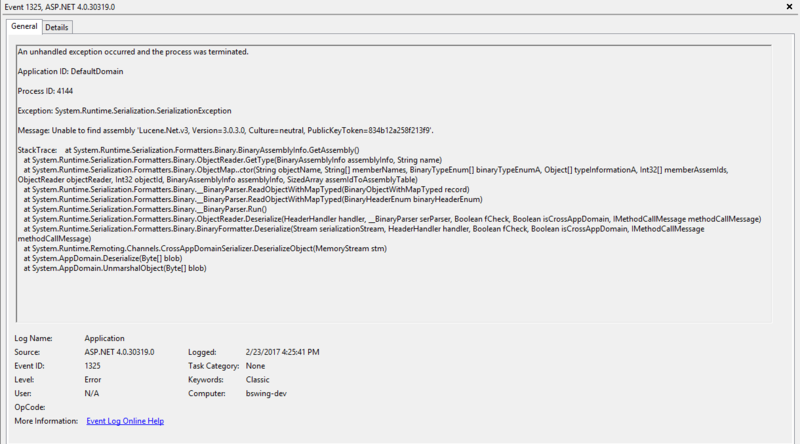 IIS configuration issue? Or something else? The worker thread has been aborted, this might have been caused by the application restart. Please check if the action succeeded and repeat the action if not. If you identified that the Smart Search is causing the lock ups, you can adjust the Scheduled Task that runs the Smart Search queue and set it to only operate every couple minutes or once an hour, etc. That helped in some cases. Also be careful that two smart searches are not looking at the same object, that can cause locks when they both try to access the same object and freeze. @Trevor - Thanks! I will configure the scheduled tasks and give that a try. What do you mean about the smart searches looking at the same object? I have two instances of the same site (Dev and QA), each of which have their own site/cms files and own database. @Trevor - It appears the only two scheduled tasks related to search are shown in the screenshot below. The first one is set to execute every 4 hours and the second one is disabled. Okay so that looks good then for the timing. In terms of smart searches referencing the same object, i mean if you have 2 smart searches on the same site, that both will hit a single document (example, you have a full-site scan, and another that scans a sub-section, they will both be triggered when a document in the subsection is changed). We have run into lock ups because of that situation in the past. 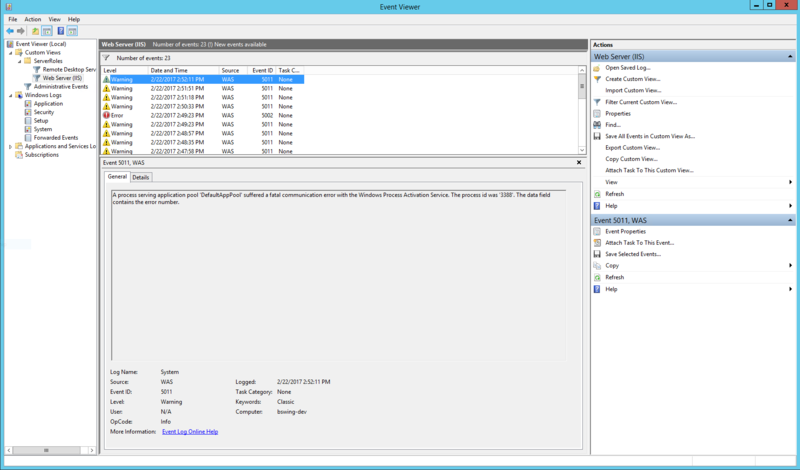 Anything in the Kentico Event log? Post it here and i'll try to help decipher it. @Trevor - Nothing in the Event Log except a bunch of SYNCALLTASKS, STARTAPP, ENDAPP events.